Posted on Wed, Jan 11, 2012 : 2:53 p.m. The University of Michigan Credit Union said today that it had hired a new CEO. 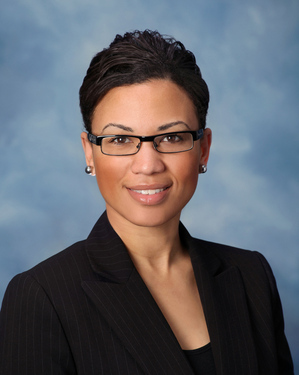 Detroit native Tiffany Ford, former executive vice president of the Michigan State University Federal Credit Union, is the new CEO of the local financial institution. Ford spent 11 years as an executive at the MSU Federal Credit Union after serving as a staff auditor for accounting firm Plante Moran. She replaces Jeff Trapp, who spent 20 years at the U-M Credit Union and was named CEO in 2007. “Jeff Trapp moved out of state in early 2011, so the board conducted an executive search and we were very fortunate to find Tiffany,” said Jeff Schillag, the credit union’s vice president of marketing and community relations, in an email. Ford’s hiring comes in the midst of a period of growth for the U-M Credit Union, whose total assets rose 6.8 percent to $446.6 million from Sept. 30, 2010, to Sept. 30, 2011. Its total liabilities grew 7.1 percent to $404 million during the same period. The credit union, which is open to anyone affiliated with U-M but is operated independently of the university, has more than 48,000 members. Thu, Jan 12, 2012 : 3:49 p.m.
Congratulations Tiffany Ford, I don't know you, but I'm sure you will make an excellent CEO over there.